Have you ever felt like you’ve been teleported to a new dimension while listening to your favorite artist live? Like your body may still be here, but your mind is in a different reality? That’s what it feels like to see a set at Meow Wolf in Santa Fe, New Mexico. 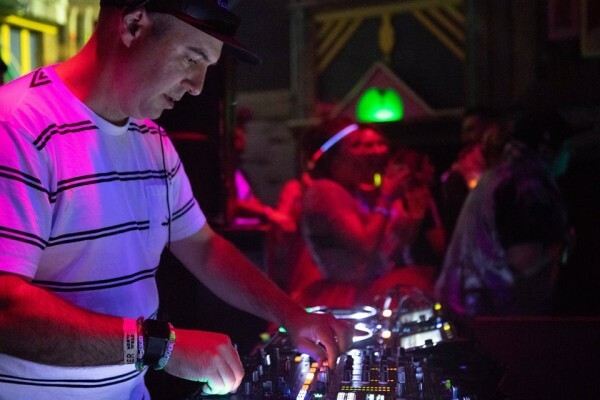 On September 15, 2018, I had the luxury of taking a 7-hour road trip to go see Justin Martin play a 5-hour set, and it was an experience that is indescribable – but, for the sake of this article, I’m going to try to describe it anyway. Before I get started on Justin’s set, it’s important to know what exactly Meow Wolf is. 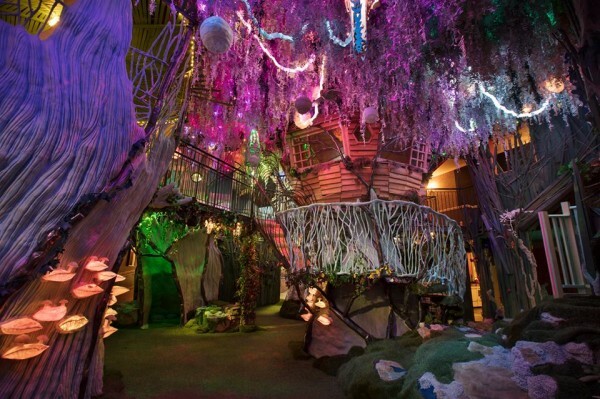 Meow Wolf is an art group that started in 2008, that focuses on creating psychedelic, interactive art installations that warp the viewer’s reality. Their most prominent and well-known installation is located in Santa Fe, New Mexico, that was built inside of an abandoned bowling alley, with the purchasing assistance of George R.R. Martin. When one first gets to Meow Wolf, a bowling pin with the letters “M E O W W O L F” in neon colors stands alone in the parking lot. There’s a spider, a wolf, and a robot that all sit in the parking lot, giving the patrons a taste of what to expect once inside. Once entered, the true colors of the exhibit start to show. There are funky art installations all over the lobby, old-school bowling alley carpeting, and a bar to the left with fun concoctions of food and drinks to be purchased. There is also “Kings Mouth,” a creation by Wayne Coyne, in the lobby, giving a clear understanding to the viewer what type of art is exactly in this exhibit. The night that I went Justin Martin was playing his 3rd set at Meow Wolf. Justin has a residency there this year and will have played 4 times by the end of 2018. At Meow Wolf, Justin does not play with any openers and goes on directly at 9 pm, playing until close at 2 am. He dances, grooves, and transitions just like he does at any of his other sets, and has a good set of friends up on the stage behind him. In the crowd, all different types of fans could be seen – some playing with their light fixtures, others dolled up in their Dirtybird gear. Everyone was having fun and enjoying the music. Justin Martin is playing his final show at Meow Wolf on December 22nd. I would highly encourage anyone who has been trying to make it over there to check this one out, as it is definitely a once in a lifetime experience. Be prepared to have your senses and reality shaken, and buy tickets to his final 2018 Meow Wolf set on December 22 here. Santa Fe not in your foreseeable future? No worries! Justin Martin is bringing the funk right here to Arizona. 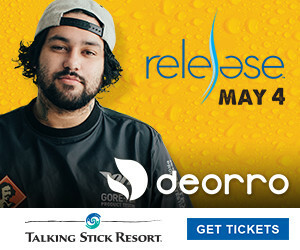 First, he’ll be at Orpheum Theatre in Flagstaff on November 16th, then in Tempe on November 18th.